With the Wave Rocker everything old is new again. 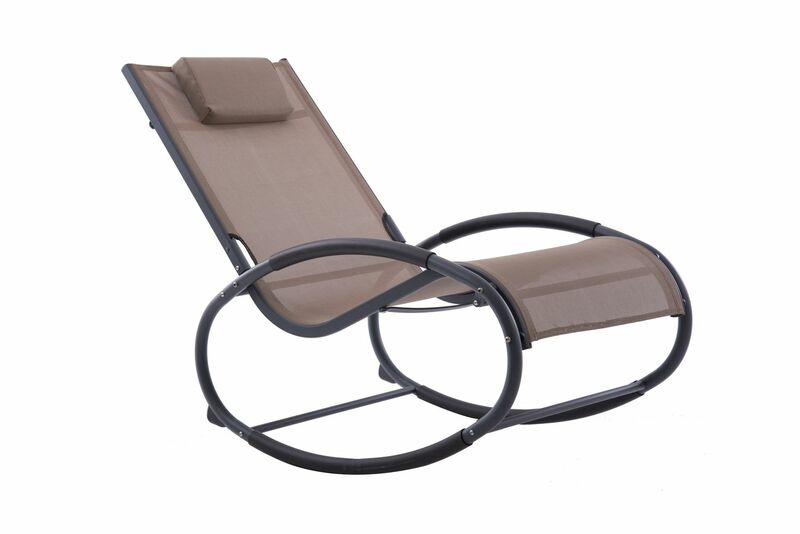 Vivere brings you an outdoor rocker that has a slightly retro vibe blended with a modern twist. Soothing rocking motion is so satisfying that you’ll find your inner zen. Acrylic mesh fabric rinses clean and makes for an ideal companion by the pool. Shapely design allows for a two feet up experience while adjustable attached head cushion makes for the perfect final touch. Aluminium frame keeps it sensationally rust free and ultra-lightweight. Easy assembly puts leisure time quickly within reach.